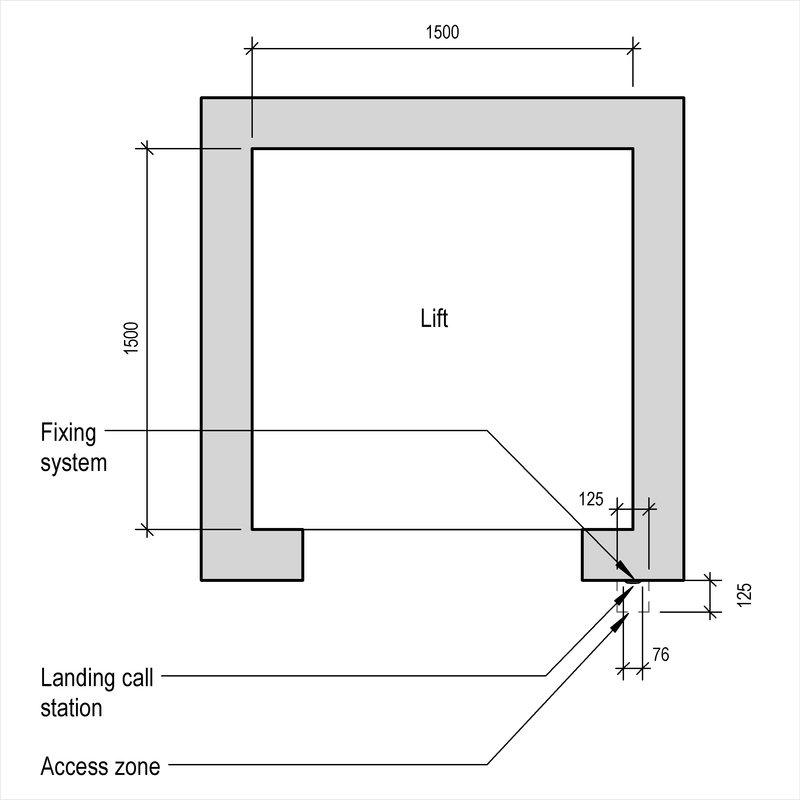 Landing call stations are described by characteristics such as call station and control buttons. 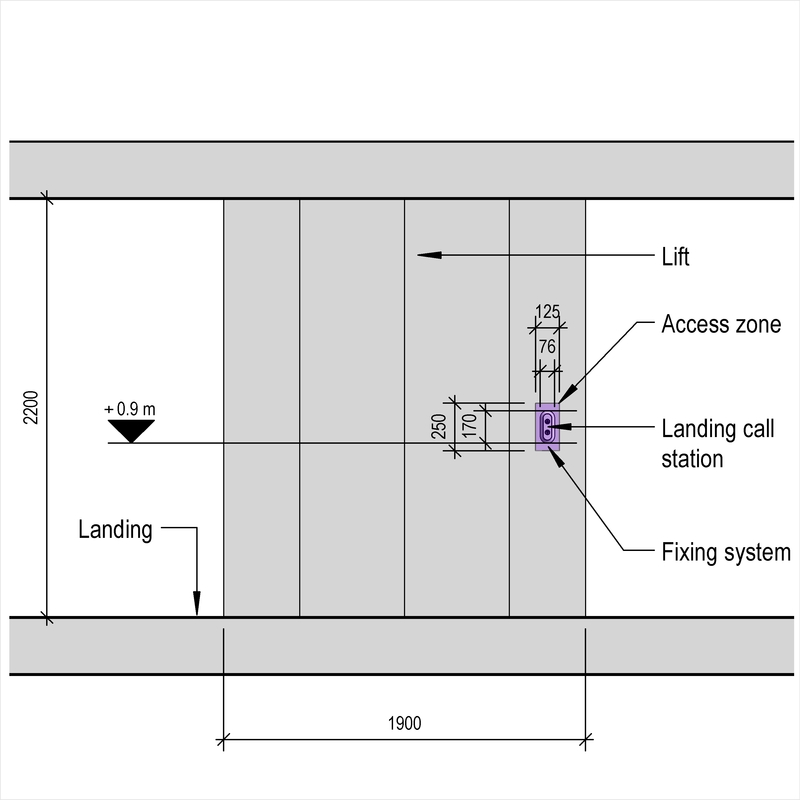 An example use may be within an electric lift system. 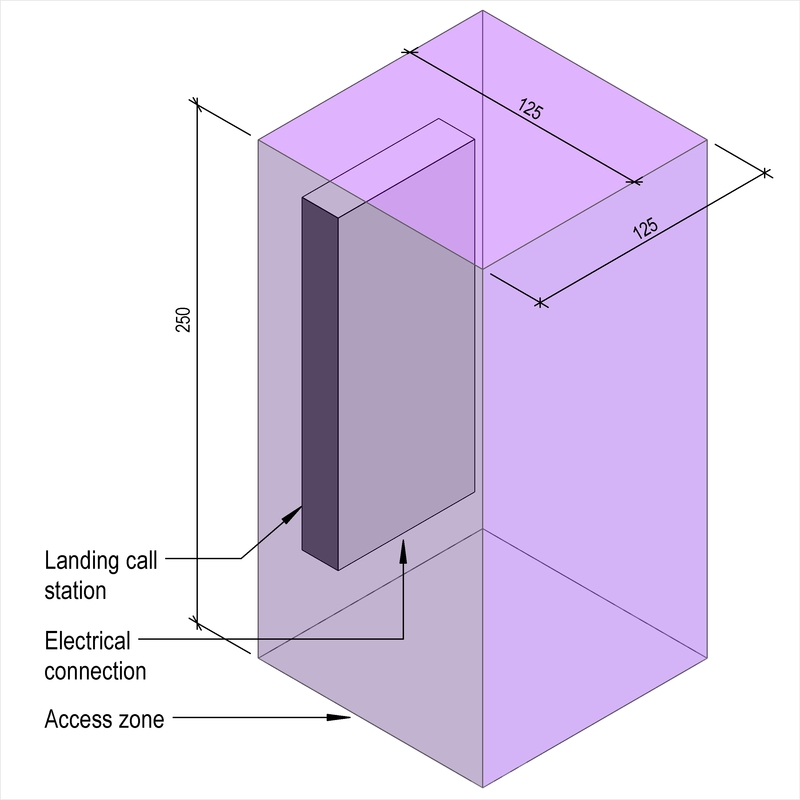 Complete this electronic spreadsheet to ensure that your Landing call stations product information meets the requirements of Level 2 BIM. This is important as it will enable your customers to select, specify and use your products within the BIM environment. Once you have completed this template you can host it on your own website or distribute it to your customers. Please note that we do not host completed product data templates within the BIM Toolkit. 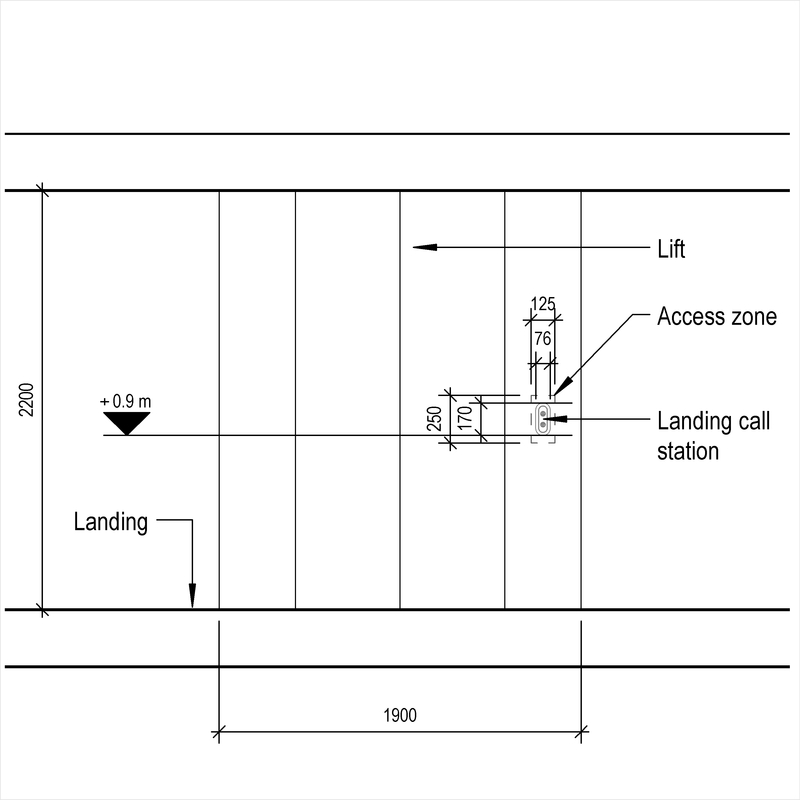 The above illustrations are for Landing call stations from the NBS section Passenger and goods lift products. 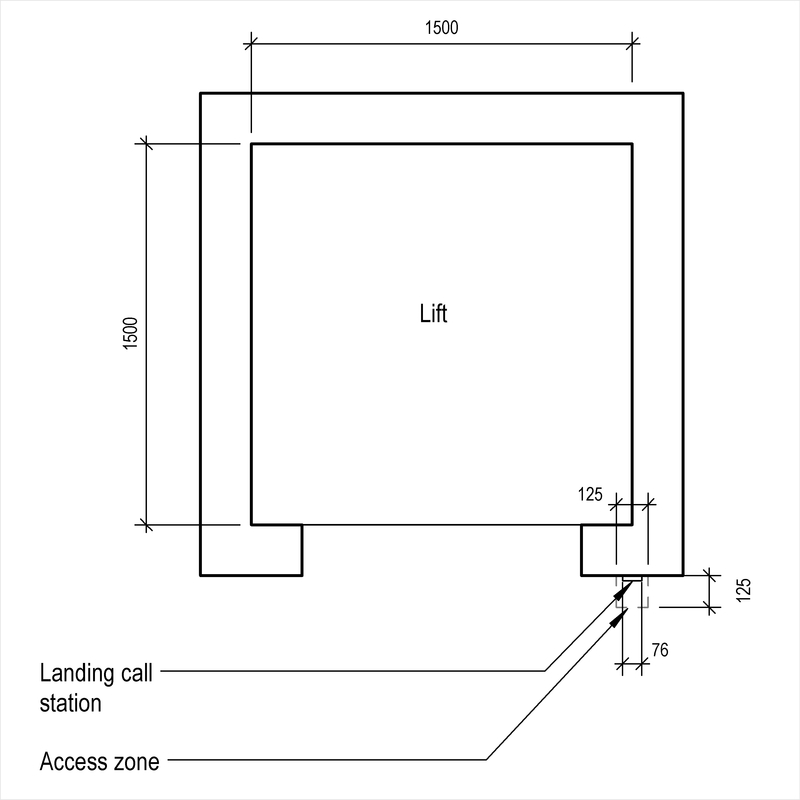 This is indicative of the LOD requirements for Landing call stations. 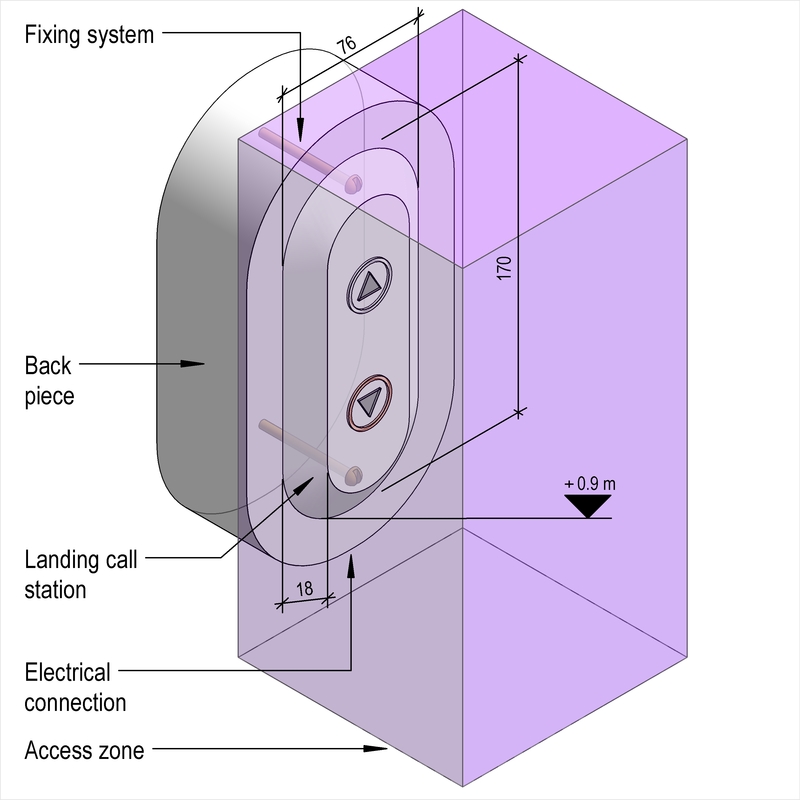 Call Station - Mounting An example value being Flush. Call Station - Material An example value being Aluminium. Call Station - Finish An example value being Brushed. Call Station - Colour An example value being Natural. Control buttons - Type An example value being Circular flush mounting. Control buttons - Identification symbols An example value being Braille characters. Control buttons - Button illumination An example value being One indicating up direction of travel, one indicating down direction of travel. Control buttons - Colour An example value being Amber. Control buttons - Displays - Type An example value being Monochrome LCD. 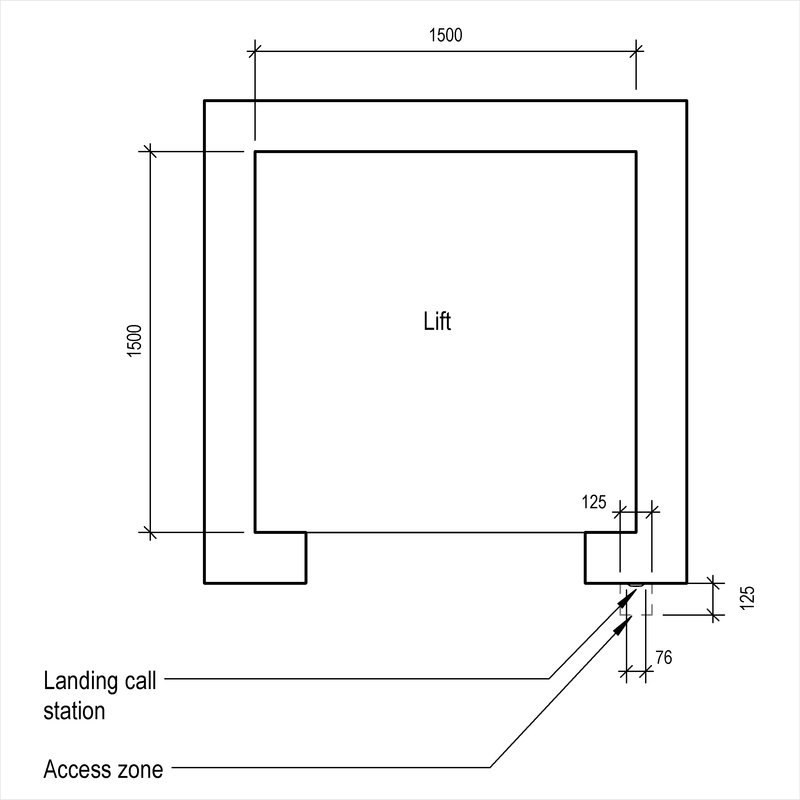 Control buttons - Displays - Size (minimum) The Control buttons - Displays - Size (minimum) of the Landing call stations. 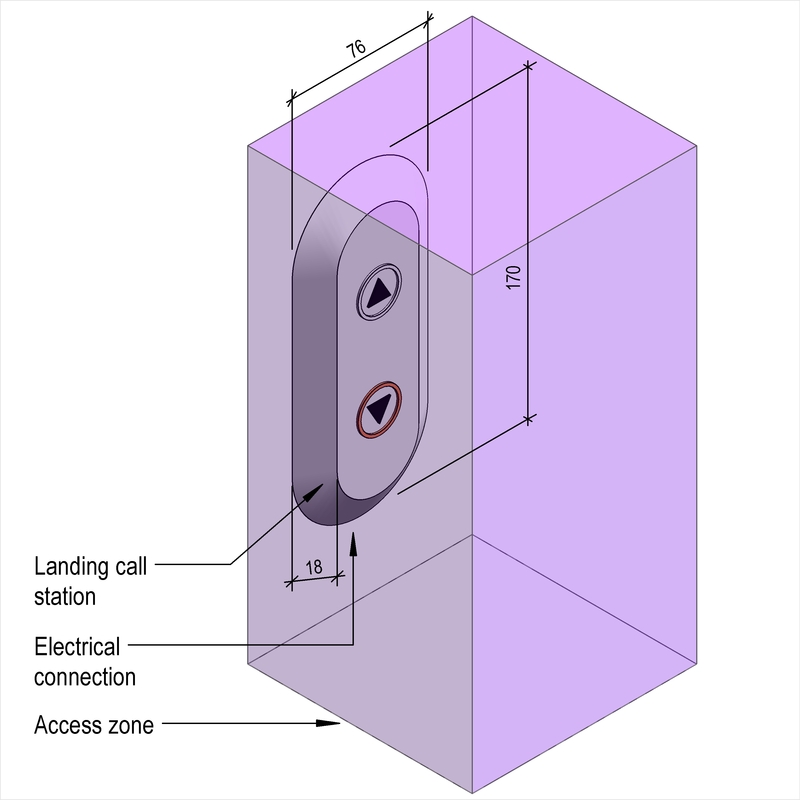 Control buttons - Displays - Indicate the following conditions An example value being Lift position. Key switches An example value being To control car priority.